What can I expect in the "Explore Music" section? Where is the Prayers of the Faithful content for celebrations? Where are the celebration and reading summaries? How do I set custom settings for my music outlines? How do I add a second liturgical moment for communion? I cannot use my personal credit card. Can my parish be billed? Where do I print my receipt? What music is suggested for psalms? The term of your current Liturgy.com subscription has not changed. If you have an existing bill-to account, that process will remain the same. You will also be able to renew your subscription on your "My Account" page using a credit card or payment profile you’ve saved for your ocp.org/Liturgy.com shared account. View details on the "Manage My Subscription" page. On the "Plan Music" landing page, each celebration has an "Overview" link. You can also click on the "Overview" link from the top of any Outline. The "Overview" page offers a summary of the celebration along with reading synopses and Prayers of the Faithful. At the bottom of the page, clicking on the "View Full Readings" button will take you to usccb.org, the official United States Conference of Catholic Bishops website where you can review the readings in their entirety. When finished, closing the newly opened window will take you back to the "Overview" page. Go to the planning landing page by clicking "Plan Music" from the top navigation. From the buttons at the top of the page, select the year and season you'd like to view. If the celebration was not a Sunday, select Special Liturgies. For past years, click on All Years and select the desired year. Note: Previous outlines are only saved from 2012 on. You can also access all previous outlines by date from the "My Account" dropdown through the "My Outlines" link. Song suggestions for each Liturgical Moment are drawn from Today's Liturgy and Liturgia y Canción. By default, this will display when you click the "Add Song" icon. In addition, there are lists of recommended seasonally appropriate songs from the seasonal "Overview" page. The "Explore Music" section of the site also offers curated lists of song suggestions for various celebrations and occasions. In "Explore Music", you'll be able to discover new music suggestions and featured songs from OCP experts and music directors. Songs lists will include new and notable music, suggestions for upcoming seasons, ideas for choral music and so much more. If you have a ICR music digital library subscription, you'll be to preview all the songs available in your subscription. Yes, you can save a PDF of an outline through the print feature. Click on the "Print" button at the top of any outline. The next steps will be different depending on your browser. Find your browser from the list below. Click on “Plan Music.” Then, select your specific celebration and click “Overview” near the top of the outline. From here, click “Other Resources” and download the PDF for that specific celebration from the appropriate category. Where are the readings? Click on “Plan Music.” Then, select your specific celebration and click “Overview” near the top of the outline. The full readings can be found below the reading summaries, by clicking “View Full Readings.” This will lead you to usccb.org. Click on “Plan Music.” Then, select your specific celebration and click “Overview” near the top of the outline. For the celebration and reading summaries, click “Other Resources” and download the PDF under “Celebration Summary.” Here you will find the ordo. First go to “My Account,” and click “Account Details” in the dropdown menu. Now, on the left-hand side of your screen you will find a list of options under “Account Details.” Finally, click on Global Setting for Outline and Print. You can adjust the settings to suit your needs from here. First go to “My Account,” and click “Account Details” in the dropdown menu. Now, on the left-hand side of your screen you will find a list of options under “Account Details.” Finally, click on Global Setting for Outline and Print. Here, you can choose to make changes to your outlines that will remain in your custom settings. 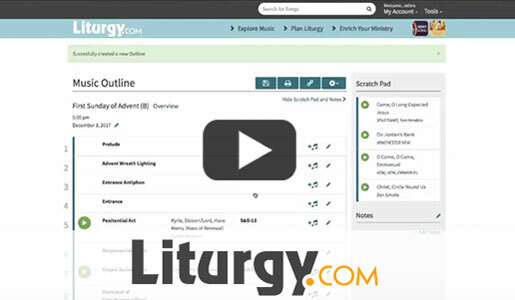 An annual subscription to Liturgy.com costs $129. If you have a subscription to a Breaking Bread or Spirit & Song Digital Music Library, the music planner is included in the available features. Yes, up to five users can be associated with an account. New users can be added using the Manage Users page. 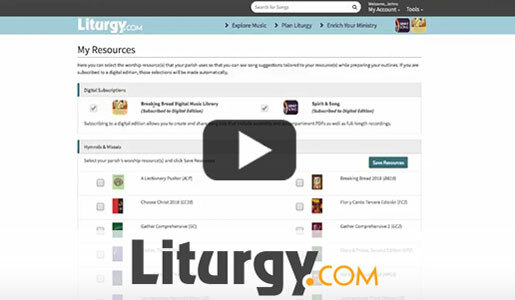 If you have a Breaking Bread or Spirit & Song Digital Music Library subscription with multiple users, all of them will automatically have access to use the music planner. Digital library subscription should manage their users on ICRmusic.org. To change your password, go to “My Account” and click “Account Details” in the dropdown menu. On the left-hand side of your screen you will find a list of options under “Account Details.” Click on “Login & Security.” From here, you can change your email, name and phone number. Click “Update Password” near the bottom of the page to change your password. To add a user to the account, go to “My Account,” and click “Account Details” in the dropdown menu. Now, on the left-hand side of your screen you will find a list of options under “Account Details.” Click on “Manage Users.” From here, you can click the "Add New User" button and type in their name and email address. You can also choose to make them an admin. This means that they can add and remove other users. To cancel your trial subscription, go to “My Account,” and click “Account Details” in the dropdown menu. Now, on the left-hand side of your screen you will find a list of options under “Account Details.” Click on “Manage My Subscription.” From here, you can click the "Cancel" button below “Action.” This will cancel your subscription after your initial 30 days are complete. You will still have access to the site until this time. To cancel your subscription, go to “My Account,” and click “Account Details” in the dropdown menu. 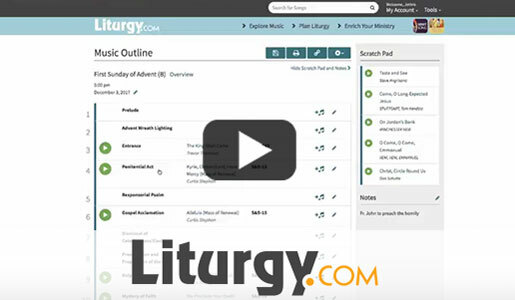 Now, on the left-hand side of your screen you will find a list of options under “Account Details.” Click on “Manage My Subscription.” Your Liturgy.com subscription will expire at the end of your yearlong term. From this page, you can view your End Date. If you do not wish to continue from this point on, no action is necessary. Your subscription will automatically expire. To renew your subscription, go to “My Account,” and click “Account Details” in the dropdown menu. Now, on the left-hand side of your screen you will find a list of options under “Account Details.” Click on “Manage My Subscription.” From here, you can click on the green “Renew” button to purchase another yearlong subscription. Yes, select your parish’s billing account when checking out. If your parish’s billing account is not appearing, contact OCP Customer Service at 1-800-548-8749. 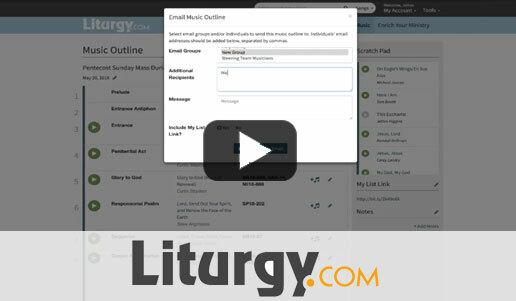 When you purchase or renew a Liturgy.com subscription, you will receive a transaction receipt via email from ocp.org. You can print this receipt at your convenience. 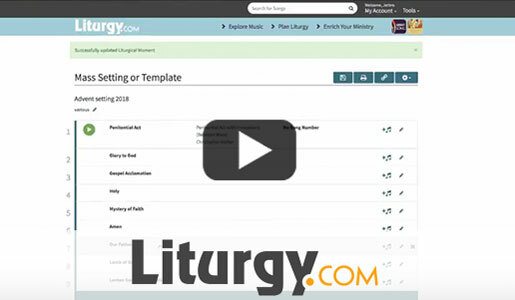 Go to the Liturgy.com home page and click the "Sign Up" button for a 30-day free trial. Liturgy.com recommends music using verbatim psalm texts for the psalm response — from Respond & Acclaim, A Lectionary Psalter and Spirit & Psalm. There are additional suggestions based on the psalms intended for use at other points in the liturgy.